Qoffisa is a fruit from Africa. It grows in arid areas all over the continent right Ethiopia to South Africa. With times, this fruit moved out of Africa to other parts of the world. It grows in India too in the dry regions of Noth West India to the plateau of Deccan. 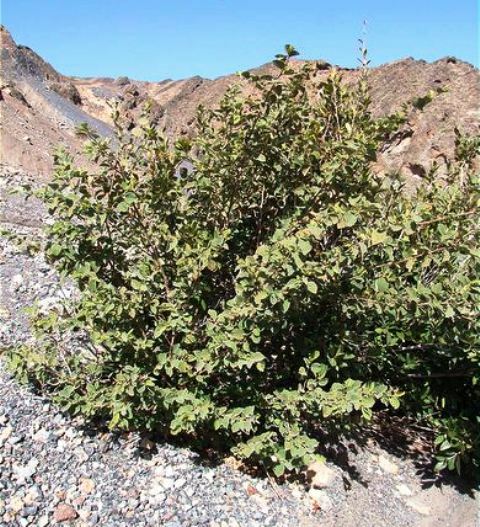 A deciduous shrub, upto 3 m high with very distinctive appearance as the leaves and young parts are covered with pale silky hairs. Leaves almost round, upto 12 cm across, opposite, on stalks to 4 cm; paler and more hairy below, 5 prominent veins. Flowers yellow-red-brown, in small clusters. 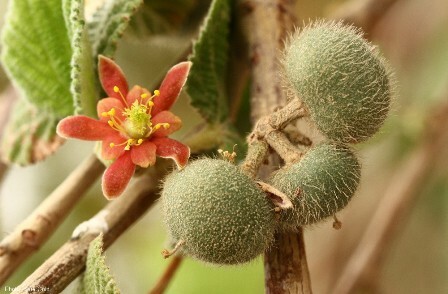 Fruit soft and hairy when ripe, red brown, about 1 cm across. The fruit is edible and is much liked because of its sweet taste. Fruits are rubbed between the palms to remove the outer skin, which is then blown away. Children eat the fruit in normal times and any needy people in food shortage time. The fruits are also offered for sale in local markets in Sudan. The leaves are very palatable to livestock, making it a good fodder in its native range. The wood is made into walking sticks, bows, arrows and spear shafts. In Sudan, an extract from the bark is used as glue for tobacco leaves. Many medicinal uses of qoffisa are reported. In Kenya, the bark (powdered or fresh), is used to treat wounds, and elsewhere various parts of the tree are used in the treatment of syphilis, spleen trouble, eye-ache and stomach-ache. Qoffisa fruits are mostly collected from wild plants mostly growing in arid areas. However, this fruit does very well when planted on irrigated fields. New plants can be raised from seed.